Some day it is easier than others to have faith. Some days everything is coming up roses, you get all the green lights, and you get an unexpected check in the mail. Others, it's a little harder. You find out that doctors still haven't found an answer to a medical problem, discover that you need to replace a porch due to rotting support beams and the money isn't in the budget, and due to circumstances beyond your control your grand-daughter is coming to live with you while her mother deals with an addiction. Those days it can be hard to hold on to faith and trust God is in control. And then God prompts you to resume your chronological Bible study and you just happen to read Hebrews 2:1. I love that we serve such a personal God; one that reaches out and reminds you that you are not alone. You see, the Hebrews were wavering in their faith, wondering if their choice to follow Jesus was the right one. And then God crafted a letter to them to encourage them, to strengthen them. The author of Hebrews (possibly Paul) spent all of chapter 1 remind us who Jesus is - the heir of all things, the creator of the world, the radience of God's glory, the exact imprint of God's nature, the upholder of the universe, superior to angels, God's Son, God's firstborn who sits at His right hand. What a mighty God we serve! Yet we still forget. We let the drudgery of this life overshadow the Truth. We let our momentary hardships rule our thoughts rather than the knowledge that the battle has already been won. We forget the love Jesus has for us, the sacrifice He made for us. And instead we focus on the lie of the world - we are unloved, we are unwanted, we are alone. 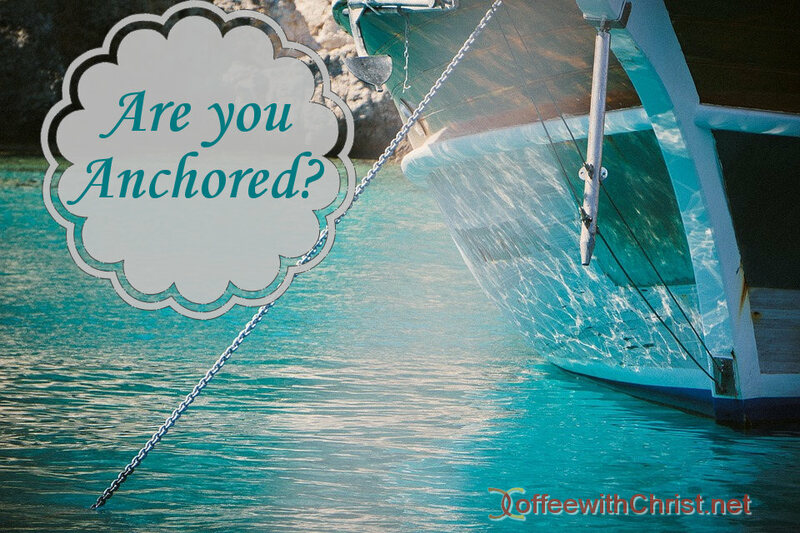 When we forget the truth of Jesus it causes us to drift away, we are in effect cutting our anchor, setting ourselves adrift to be tossed about by the world. This leads to wavering, a loss of faith, and a divided loyalty. That leads to destruction. And this, my friends, is why we are called to encourage each other (1 Thessalonians 5:11), to gather together with fellow believers (Hebrews 10:24-25), to spend time with Jesus (Matthew 12:30) and to renew our mind daily (Romans 12:2). Doing these things cause us to pay careful attention to the works of, and our relationship with, Jesus. And when we are focused on Him, we can't drift away into confusion and despair. What verse(s) brings you the most comfort when you find yourself wavering? Abba, I thank you for the wisdom and forethought of including encouragement for every aspect of our lives in Your word. 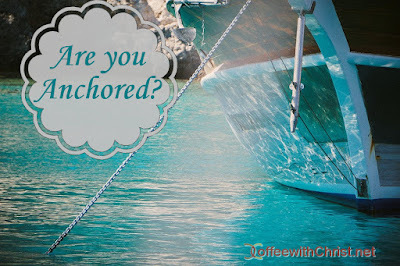 I ask that you forgive me for my waverings, for weakening my bond to You, my anchor. Help me to pay careful attention to Your word in the future so that I may stand strong. Amen.